Vasja Ilešič – General Manager at Hotel Betnava Maribor, Maribor INN hotel, Chairman at Cooperative Hoteliers Maribor, owner Eksito s.p. Vasja started his career in the framework of the Sports Center Pohorje, where he headed a hotel complex Bolfenk with more than 600 beds. 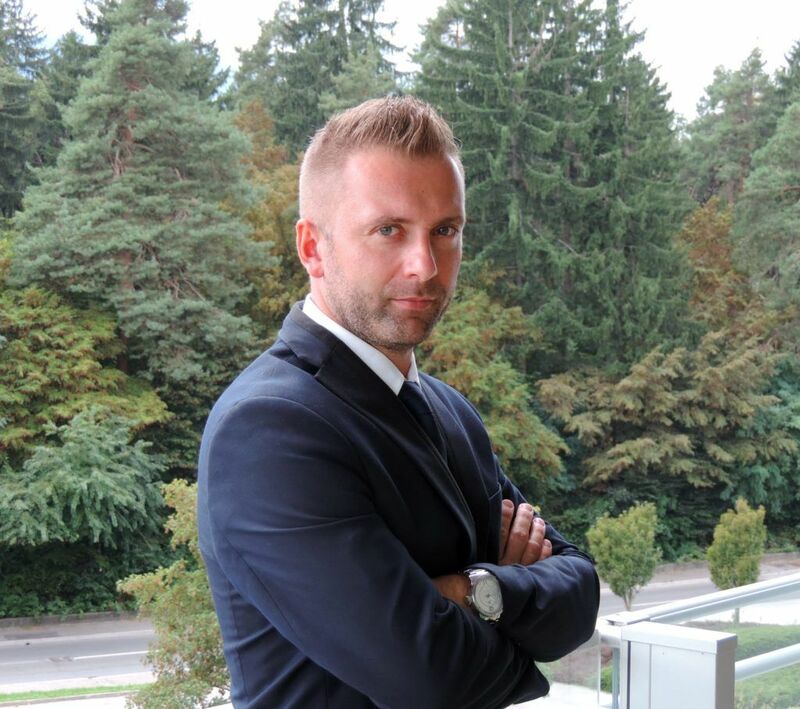 At the moment, he manages Betnava hotel Maribor and Maribor Inn hotel, where they follow the slogan »I feel local« and intensively connect with the micro-environment. As part of his own consulting company, Vasja is also involved in consulting and strategic planning in the field of Tourism. Q: Could you, please, explain what exactly is the Hoteliers’ Cooperative Maribor about? Hoteliers’ Cooperative Maribor consists mostly of family-run hotels, which are bounded with the same mindset and heart commitment to work in tourism and interest-based connections. Our specific advantages are genuine hospitality and an individual approach to each of our visitors. Q: How was the idea born? Why? And when has it started working? The idea was born 6 years ago on a study tour to Austria. There was cooperation between hoteliers something normal while in our region it was something new and a “must have”. At the time, one small hotel from Maribor could not reach the big touristic public and make a bigger touristic impact in the local district as we can today with almost all of the city’s small hotels. Q: Which hotels are included? At this moment Hotelier`s Cooperative includes 8 hotels. Hotel Draš, Hotel Betnava, Hotel Mond, Hotel Tabor, Hotel Bau, Hotel Milena, Hotel Mlada Lipa, and Guest House Pohorska Kavarna. Q: What is the condition under which the hotel gets accepted? It must be a small hotel, which means it must have less than 100 rooms, we have membership payment per hotel on the monthly base, and the most important thing is that the member is prepared to sacrifice some of the time and personal knowledge, s so that we all together could be stronger, better and more successful every year. Q: Are you planning to include more of the Maribor’s hotels? Yes, of course, right now at the end of the year. We are open to new members, but the important thing is that the future member asks himself what he could also contribute to and not just what he will gain from this association. Q: What is the plan for the MICE industry inside the Cooperative? We are looking for our place under the sun in Maribor in the MICE industry. We are small hotels, but everyone from us has the possibility to organize different seminars, small conferences, and similar events. Some of us have also big halls to organize a conference for more than 1,000 people which means that we are prepared for this kind of business and that this kind of guests are more than welcome in our wonderful city. Q: What is the difference between chain hotels and family run hotels? Is there any? Yes, it is, thanks for asking. It is a big difference in the personal approach to each of our guest. For us, no one is just a number, like in the big chain hotels. We are small but on the other hand very hospitable, flexible and responsible. We literally live for our business and this, I think, is the biggest difference between small and big hotels. Q: What is the Cooperative’s plan for the future? Any particular wishes? We just want to have support from our local Tourism board and get the opportunity from the Slovenian Convention Bureau that we could introduce ourself on the MICE market. Some destinations in Slovenia are already well known in Europe, but some of us are still waiting for this opportunity. Q: What is your favorite thing in Maribor or what would you personally suggest to congress visitors to do in Maribor? First of all I wish to all of them good business, hope that they will get a new knowledge on seminars and conferences, and later on they must visit some of our very best wine cellars and try a lot of wine samples..:) There is really a lot of opportunities to do in Maribor, because we are known as a Culinary, Wine, Sport, MICE and Cultural destination. I have also my own personal 10 best things to do in Maribor, so I recommend to the congress visitors to not hesitate and to contact us as they are more than welcome in Maribor.